As Axios scooped 11 days ago, President Trump will finally replace his blustery talk with the beginnings of real action against China. On Monday, Trump will initiate a U.S. government process to crack down on Beijing for stealing American intellectual property and forcing U.S. companies to hand over their technology as a cost of doing business in China. President Trump will sign an "executive memorandum" on Monday afternoon that directs the U.S. Trade Representative Robert Lighthizer to determine "whether to investigate any of China's laws, policies, practices or actions, that may be unreasonable or discriminatory, and that may be harming American intellectual property, innovation or technology," per a senior official. Should Lighthizer decide to launch an investigation, he'll have at his discretion "broad powers" including section 301 of the 1974 Trade Act. 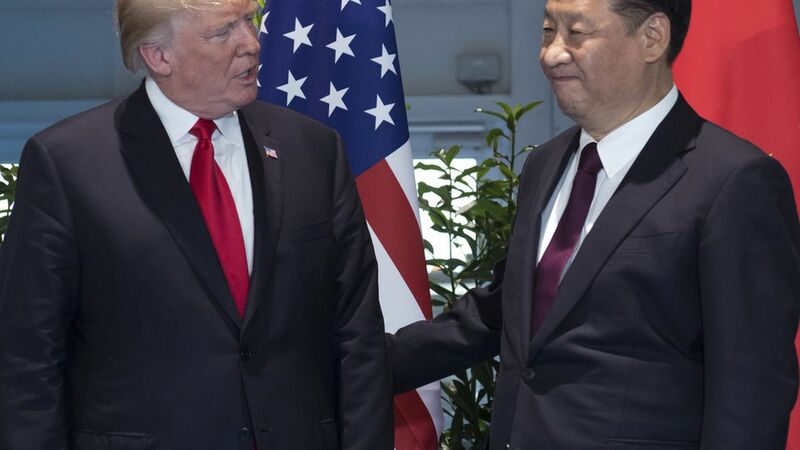 The investigation paves the path to the U.S. taking potentially aggressive retaliatory actions against China such as tariffs on Chinese imports or rescinding licenses for Chinese companies wanting to do business in the U.S. Initiating an investigation under section 301 could result in either a new WTO dispute between the U.S. and China or unilateral retaliation by the Trump administration. Why this matters: Senior administration officials repeatedly stressed on the conference call that these trade actions are preliminary steps and are entirely separate from national security concerns, including the crisis on the Korean Peninsula. That might be how some trade officials think about it; but in the real world, trade and national security cannot be separated. China will view this investigation as a provocation. And Trump needs Beijing's help to stop Kim Jong-Un from careening into nuclear war. These trade actions are a new — and for some in the administration, unwanted — variable that diplomats must contend with. Senate Democratic Leader Chuck Schumer: "President Trump's pattern continues: Tough talk on China, but weaker action than anyone could ever imagine. To make an announcement that they're going to decide whether to have an investigation on China's well-documented theft of our intellectual property is another signal to China that it is O.K. to keep stealing. President Trump ought to skip his trip to Washington and the ceremonial desk signing and instead adopt the Democrats' better deal proposal, which has far more teeth in it than anything President Trump has proposed."